"A new version of the story of Superman, following his activities as a superhero and his interactions with Lois Lane, Jimmy Olson, and Lex Luthor." "This book takes its place alongside the unnerving, memorable, darkly funny family memoirs of Augusten Burroughs and Mary Karr. It's a father-daughter tale perfectly suited to the graphic memoir form. Meet Alison's father, a historic preservation expert and obsessive restorer of the family's Victorian house, a third-generation funeral home director, a high school English teacher, an icily distant parent, and a closeted homosexual who, as it turns out, is involved with male students and a family babysitter. Through narrative that is alternately heartbreaking and fiercely funny, we are drawn into a daughter's complex yearning for her father. And yet, apart from assigned stints dusting caskets at the family-owned 'fun home,' as Alison and her brothers call it, the relationship achieves its most intimate expression through the shared code of books. When Alison comes out as homosexual herself in late adolescence, the denouement is swift, graphic, and redemptive." "Usagi Tsukino is a normal girl until she meets up with Luna, a talking cat, who tells her that she is Sailor Moon. As Sailor Moon, Usagi must fight evils and enforce justice, in the name of the Moon and the mysterious Moon Princess." 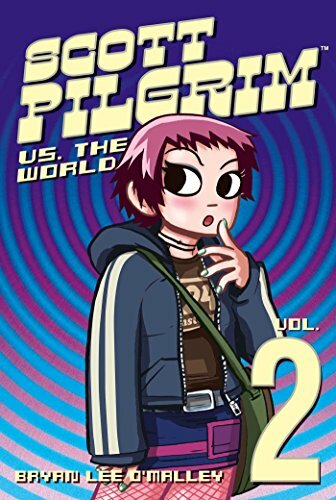 "Scott Pilgrim is no longer excited about dating a high school girl because he's met the girl of his dreams, literally. However, he won't be able to date her until he defeats her seven evil ex-boyfriends." 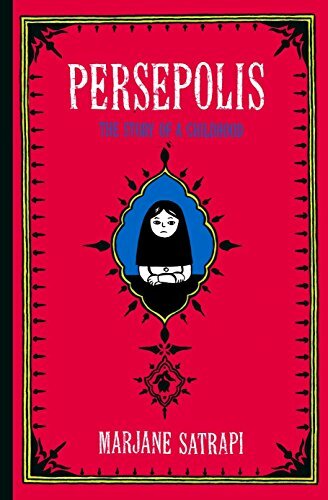 "An intelligent and outspoken only child, Satrapi--the daughter of radical Marxists and the great-granddaughter of Iran's last emperor--bears witness to a childhood uniquely entwined with the history of her country." "Maus is a haunting tale within a tale. Vladek's harrowing story of survival is woven into the author's account of his tortured relationship with his aging father. Against the backdrop of guilt brought by survival, they stage a normal life of small arguments and unhappy visits. " "Patience is a psychedelic science-fiction love story, veering with uncanny precision from violent destruction to deeply personal tenderness in a way that is both quintessentially “Clowesian” and utterly unique in the author’s body of work." "In the early hours after Halloween on 1988, four 12-year-old newspaper delivery girls uncover the most important story of all time. Suburban drama and supernatural mysteries collide in this series about nostalgia, first jobs, and the last days of childhood."